Today ASPI released a new report, Cold Calculations: Australia’s Antarctic Challenges, with contributions from a range of Australian experts on Antarctic issues culled from a series of posts here on The Strategist. It’s a timely report: just prior to the election the Coalition announced that, if elected, they’d develop a 20 year strategic vision for the Antarctic. Their plan would focus on extending Australia’s research and logistics capacity, as well as positioning Hobart as a gateway for Antarctica. They also promised to extend the airport runway at Hobart. This would allow larger transport planes to fly to Antarctica. Some of the planes that currently fly for the US polar program could possibly fly out of Hobart, rather than Christchurch. Of course, the US is not the only nation active down south. Last month Tasmania signed an MOU with the Chinese Antarctic Research Expedition to use Hobart as a gateway for its activities. The Tasmanian Premier noted that the Antarctic sector was now worth more than $180 million to the Tasmanian economy. The new ASPI report catalogues a number of areas in which Australia’s Antarctic investment is struggling, and where our research and logistic infrastructure is aging. 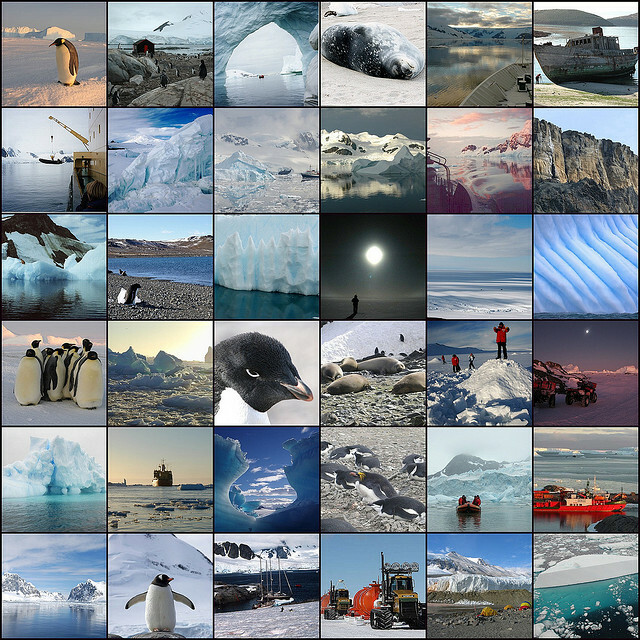 Today we’re faced with critical decisions about our future access to and activities within Antarctica. 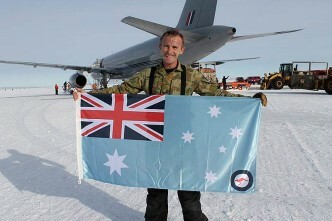 These decisions need to be made when acute budget pressures are diminishing our ability to maintain our Antarctic effort, at the very time other nations are rapidly building their presence and capabilities in the Australian Antarctic Territory. We’re running the risk of being left behind. Cold Calculations considers our role down south and why it’s important, not just in a scientific sense, but also in a broader foreign policy and security sense. We have a clear interest in keeping the continent peaceful by being engaged in Antarctic affairs. The report supports our Antarctic territorial claim and suggests there’s no good reason why we should deviate from our position. Any upset to the current views of sovereign interests wouldn’t benefit Australia. 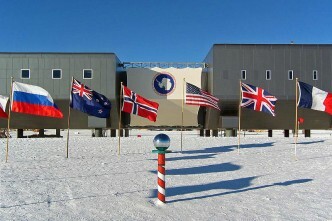 One such threats to Australia’s interests could come from destabilisation within the Antarctic treaty system. In a resource hungry world, there are reasons for some parties to propose a review of the treaty or its environmental protocol. That could turn the current approach to Antarctic management on its head, especially if it paved the way for serious interest in Antarctic continental or seabed mineral resources. Cold Calculations notes that an important goal of Antarctic science is to retrieve an ice core containing ice over one million years old. This would shed much light on past climate. It’s likely that such ice can only be found within our territory. China, for example, expects to find it near Dome A in Australian territory. The prospect of Australia extracting this million-plus year ice is remote when we can’t get far beyond our coastal stations. Finding this very old ice will be a game changer scientifically, because it’ll reveal past climate. But it wouldn’t be a great political look for us if another nation’s superior presence and logistics means they’re the first to find the treasure buried in our patch. Cold Calculations points out that we don’t really use Defence resources to support our Antarctic program. But many other nations use military personnel and equipment to support civilian logistics. It’d be naive to assume that they discount the strategic potential of their Antarctic presence beyond science and possible future resources. Anthony Bergin is deputy director at ASPI. Image by Flickr user robynejay.